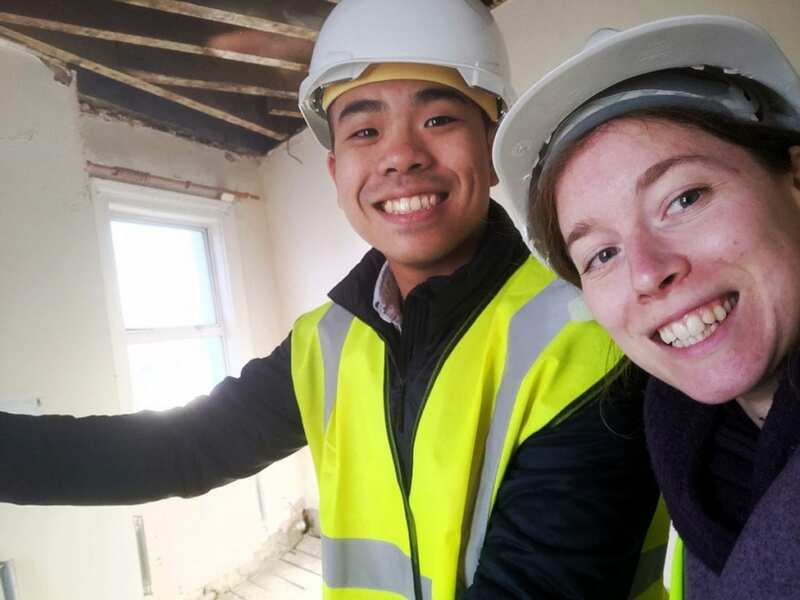 Today Alison and Jonathan were on site with Texcel Developments. 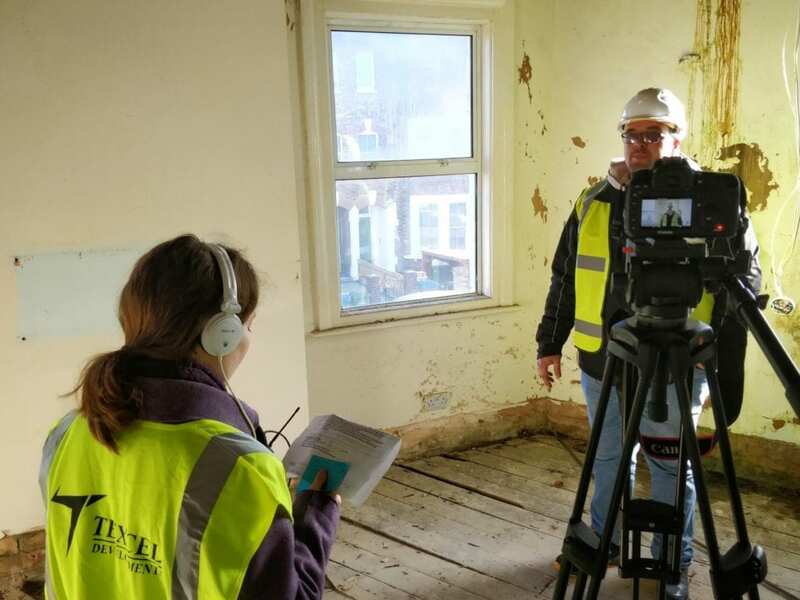 We’re working on a new documentary for their latest renovation project. It’s residential this time, rather than commercial. As you can see from the photos, they’ve got a massive regeneration challenge ahead of them. Of course, being a building site the camera team had to wear hard hats and high viz jackets!